If Congress doesn't act soon, tens of millions of Americans will only receive about three-quarters of their Social Security benefits when they retire in the future. In an annual report released Thursday, trustees of the government's two largest entitlement programs -- Social Security and Medicare -- urged lawmakers to act quickly to assure Americans they'll be able to get their full retirement benefits. The trustees projected that the Social Security trust fund will be tapped out by 2034. While that projection is unchanged from last year's annual report card, the trustees warned of persistent long-term challenges ahead if fixes aren't made to pay for the program. "The trajectory is still alarming," said Tom Price, secretary of the Health and Human Services Department in a joint press conference at the Treasury Department. "The bottom line is it must be addressed." The latest projection doesn't mean retirees will get nothing starting in 2034. It only means that at that point the program will only have enough revenue coming in to pay 77% of promised benefits. So if you were expecting to get $2,000 a month, your payout would shrink to $1,540. Still, the looming date is a concern to budget watchdogs. "Social Security insolvency is no longer a problem only for future generations — without action, current workers and even current retirees will face a 23% across the board cut in just 17 years," said Maya MacGuineas, the president of the Committee for a Responsible Federal Budget. "That is when today's 50-year-olds reach the normal retirement age and today's youngest retirees turn 79." Other groups also responded, warning lawmakers to act fast in order to avoid disruptive consequences for beneficiaries and taxpayers. 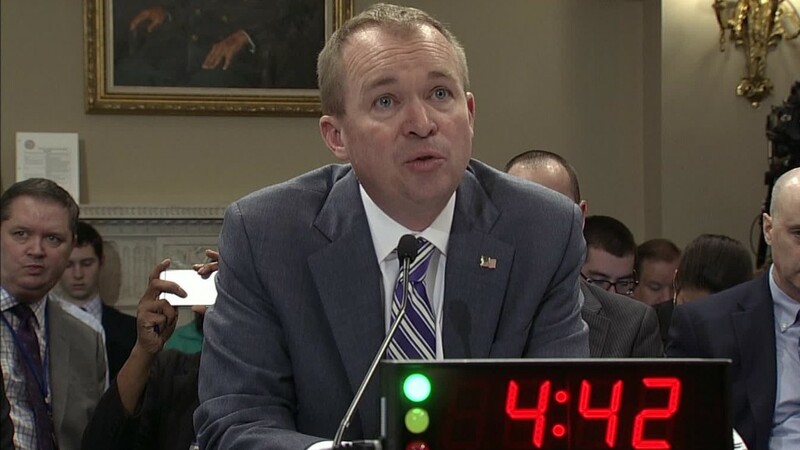 "By the time these programs' trust funds are depleted, it will be too late to shield vulnerable program participants from substantial harm," Charles Blahous of the Mercatus Center at George Mason University said. Treasury Secretary Steven Mnuchin tried to assure Americans the government's programs are "secure and will remain secure." "Tens of millions of Americans rely on these programs and it is important that we ensure their long-term stability," said Mnuchin. The administration believes hitting its target of 3% economic growth through tax reform, loosening regulation and trade will help to pour in trillions of dollars into the economy and bring in additional revenue to meet the nation's entitlement obligations. Social Security is funded by two trust funds -- one for retiree benefits and one for disability benefits. The 2034 date is the exhaustion date for both funds combined. When considered separately, the old-age fund will be depleted by 2035 -- the same projection as last year -- after which it would be able to pay just 75% of benefits. The disability fund is now projected to be tapped out by 2028, five years later than previously projected. After which, the payout would be 93% of promised benefits. The trustees said the revised projection for disability benefits was due to the fewer-than-expected applications. In terms of Medicare, the trustees project that the trust fund for Part A, which covers hospital costs for seniors, will run dry by 2029. That's one year earlier than they projected last year, due to lower-than-expected payroll taxes and a slower-than-estimated rate of reduction in inpatient use of hospital services. By 2029, Medicare Part A would only be able to pay out 88% of expected benefits -- a figure that would fall to 81% by 2041 before gradually increasing to 88% by 2091. Meanwhile, Medicare Part B, which helps seniors pay for doctor's bills and outpatient expenses, is funded by a combination of premium payments and money from general federal revenue. The same is true of Part D, which offers prescription drug coverage. Both will be financed in full indefinitely, but only because the law requires automatic financing of them.